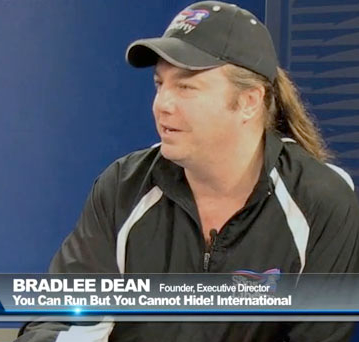 We’ve spoken here before about Bradlee Dean, the violently anti-gay rocker/radio host who sued Rachel Maddow and MSNBC when Maddow played a clip on her show. The clip was Dean’s voice, quite clearly claiming that it is moral to execute homosexuals. Dean sued because she didn’t also report a disclaimer he’d posted essentially denying his own words. Anyway, Junkyard Prophet, a project of Dean’s anti-gay “You Can Run, But You Can’t Hide” Ministries, was asked to “perform” at a public high school in Dunkerton, Iowa last week. For the past few days, we’ve been reading some pretty scandalous reports of the things that were said. Dean and his ministry has even gone so far as to argue that they didn’t say the things that are being claimed by students and teachers that were present for the assembly. According to Dunkerton High School teachers and administrators, the group was supposed to present on anti-drug, anti-violence, anti-bullying themes. Instead, they divided the junior and senior high school into boys, girls and teachers and proceeded to present them with images of aborted fetuses, and dying AIDS patients. Those who tried to leave were shouted down and mocked by members of the group. One student claims she was told to “sit down and shut up” by one of the group’s leaders. The group of course denies many of the accusations, but last night doubled down on their message. They claim that the average lifespan for homosexuals is 42. This comes from a widely-debunked “study” done by Paul Cameron and the anti-gay Family Research Institute in the 1990s. He based his research on reading a few obituaries each day for a few months and not any actual cumulative, statistically representative research, i.e. – he made it up. Today, we learn that you can run, but you can’t hide from students with video cameras in their phones. Please watch this clip from what was presented to public high school and junior high school students in Iowa. I can’t help but wonder why not a single teacher or administrator didn’t walk up on stage and end this.